Most of us go through several different bags over the course of our lifetime. In fact, many easily go through dozens of bags, especially women who need a certain bag for specific needs. But investing in a durable, stylish daypack for everyday use can eliminate the unnecessary costs that come with having to replace your backpack every few years. A good-looking bag also cuts the time and hassles associated with having to make sartorial decisions each and every day. Imagine how much time and money you spend each time you have to choose a bag from your closet for your laptop, school books, sports gear, errands, commuting to work, or a quick day trip outdoors? Meet the JanSport Superbreak Backpack, a cult classic and for good reason. This multipurpose bag has all the essential features of a practical daypack plus a timeless design that caters to kids, teenagers, men, women, travelers, and students. It’s so versatile that everyone can find a use for this bag, and it will last several years. It’s a favorite of students of all ages, but appreciated by customers from all walks of life. This iconic bag has been tried and tested; in terms of durability and practicality, it just doesn’t get any better than the JanSport Superbreak Backpack. JanSport is a trusted brand name in backpacks. The award-winning brand has been around since 1967; it started out with bags originally catering to students. 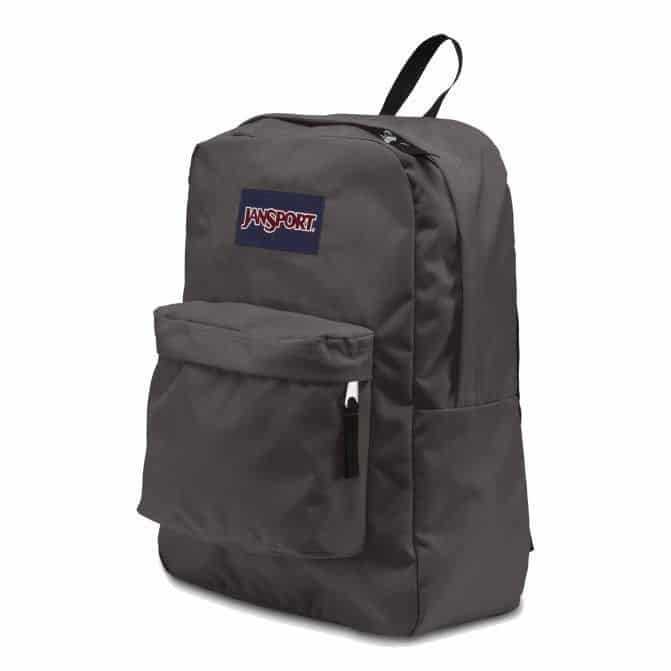 Since then, JanSport has expanded and now creates long-lasting daypacks and travel bags suited for everyday use. Few other brands in the market understand the need for seriously strong bags that endure rugged use without compromising good aesthetic. When a brand is confident enough to offer a lifetime guarantee for all their products, you know that you’re spending your money wisely. The JanSport Superbreak Backpack features a roomy main compartment, which is spacious enough for packing your essentials for a weekend getaway or school. Its size is just right, and it can also double as a carry-on. Its wide opening enables you to pack and unpack with ease. The front pocket is built in with an interior organizer which makes locating your belongings super easy. The bag is constructed with fade, water, and abrasion-resistant 600 denier polyester fabric that comes in a wide array of colors and patterns to suit your personal style. This material is one of the best for backpacks since it won’t easily tear yet it has a soft and smooth surface. 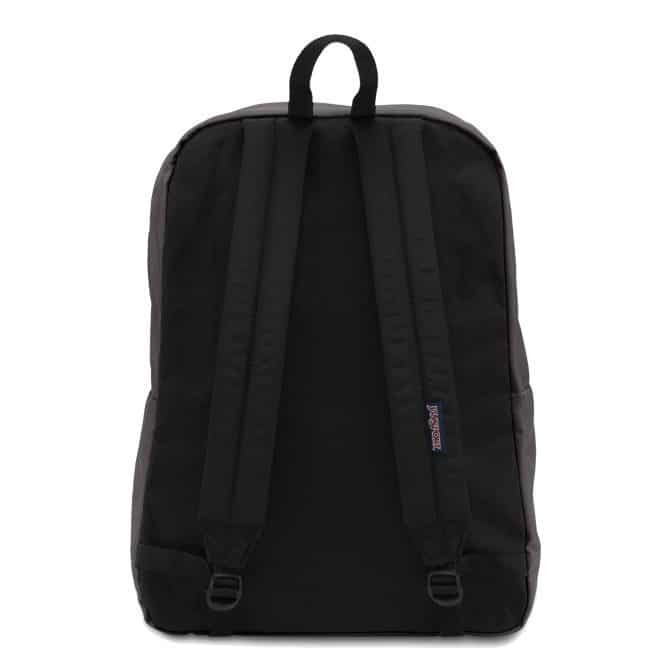 And while other soft backpacks have the disadvantage of falling to the ground when empty, the JanSport Superbreak Backpack’s semi-solid structure ensures that it stays upright. You might have noticed that the JanSport Superbreak Backpack doesn’t come with interior pockets or a laptop sleeve. In this day and age when almost everyone uses a laptop, this might seem like deal breaker for some. Don’t be mistaken: the omission of extra pockets is actually a good thing! Packing things no longer becomes a hassle; you can arrange your belongings as you please. The bag can easily fit a laptop, but you’ll just want to use a padded laptop case for protection. The iconic silhouette of the JanSport Superbreak Backpack has been seen in countless campuses all around the world, but it’s also a trusted style in everyday bags. The backpack has all the right features you need and none of the frilly extras that so many backpacks these days have. It’s simple, it’ll last you decades, it’s practical, and it’s versatile. The fact that it’s so affordable is just the icing on the cake. Customers agree: according to online reviews, people love its simplicity. Its minimal design means that there isn’t much that can go wrong. Many parents have purchased the JanSport Superbreak Backpack for kids ranging from kindergarten to high school, and even the kids love it. Both boys and girls are attracted to its vibrant color, and the material is easy to clean and wash. Unfortunately, some customers have experienced the zippers breaking down on them. A few customers have complained that the zippers tend to get stuck, resulting in a tedious process resolving this. Some customers were also disappointed as they found the bag too flimsy. When reading the reviews from students, it’s no surprise that the JanSport Superbreak Backpack is one of the most popular school bags in the market. It has just the right size and ample space for everyday school use, but it also comes in handy as a daypack for adults. 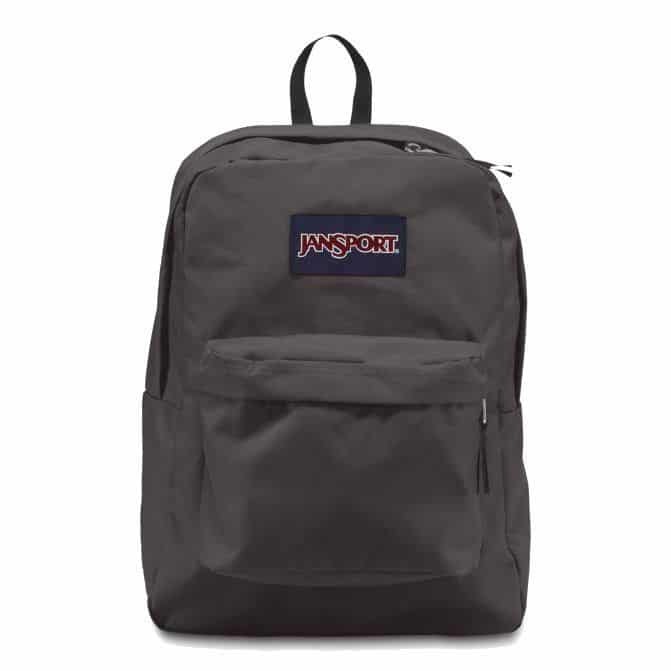 Several reliable online merchants are offering the JanSport Superbreak Backpack with free or affordable delivery straight to your doorstep. Among them, Amazon seems to be a leading website for online shopping. With great deals on this bag and more, you can’t go wrong on Amazon. If you’re looking for a trusted, affordable backpack that will last you a lifetime, look no further than the JanSport Superbreak Backpack. Its simple design allows you to use this bag with virtually any outfit in your closet, but its winning streak truly lies in its versatility. Whether you’re headed to the airport, school, work, or play, the JanSport Superbreak Backpack has proven to be the ultimate daypack.